Peugeot 3008 SUV India Debut at Auto Expo 2018? PSA Group, the popular French carmaker, will launch its Indian operations by 2020. PSA has already collaborated with the CK Birla Group for its upcoming Indian innings. While AVTEC will supply powertrains for Peugeot cars in India, Hindustan Motor Finance Corporation will be responsible for sales and distribution. From the looks of it, the company has a really aggressive product strategy in place for its second run in India. Peugeot cars in India will include a compact SUV, a premium SUV and a hatchback. As per some of the recent reports, the Peugeot 3008 SUV will become one of the first models for our market. The Peugeot 3008 India debut is likely to take place at Auto Expo 2018 and here is all the information on its launch date, price in India, specifications, interior features, etc. Also See- Peugeot to Return to India | Peugeot 208 Spotted Testing in India! The Peugeot 3008 will launch in the fast-growing small SUV segment. Currently, this section of the market comprises of some well-sorted products like the Hyundai Creta, Honda BRV, Renault Duster, and the Nissan Terrano. Soon, we’ll even have the new Renault Captur. Hence, it will become really important for the company to get it really right with the India-spec 3008. This SUV is underpinned by the manufacturer’s Efficient Modular Platform (EMP) that has been co-developed by PSA Peugeot Citron. This architecture supports cars with transverse engine positioning with FWD and 4WD layouts. The new platform also makes the latest gen 3008 up to 70 KGs lighter than its previous version. Globally, this small SUV is available with both petrol and Diesel engines. While the petrol engine on offer is a 1.2-litre turbo motor that outputs 131 PS, the Diesel engine is a 1.6-litre turbo unit that outputs up to 120 PS. There’s also a 2.0-litre BlueHDi engine that comes mated to six-speed automatic transmission. PSA Group will commence its Indian operations by 2020. The 3008 SUV is one of the first cars that the manufacturer is expected to launch here. Also, we expect the Peugeot 3008 to make its India debut at the Auto Expo 2018. Once here, the new small SUV will go on to rival the likes of Hyundai Creta, Honda BRV and Renault Captur. The new Peugeot 3008 SUV India Price should start at roughly Rs 11 lakh. The top-end model will cost roughly Rs 15 lakh. This will put the small SUV in crosshairs of the Hyundai Creta, and to some extent, even the Mahindra XUV500. 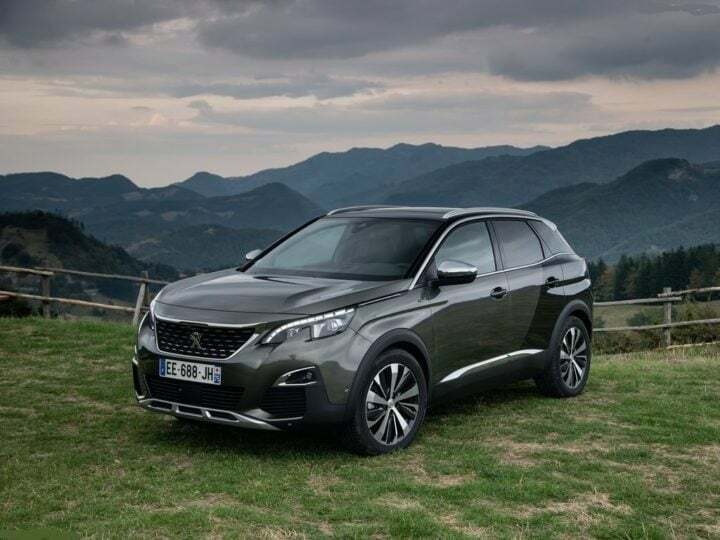 Globally, the 3008 SUV is available with a range of modern petrol and Diesel engines. The entry-level petrol engine is a 1.2-litre unit that benefits from a turbocharger. This engine outputs a maximum power of 131 BHP. The Diesel engine displaces 1.6-litre and is available in a range of state-of-tunes that offer from 99 BHP to 120 BHP. There is also a performance-oriented GT variant, which comes with a 2.0-litre BlueHDi 180 S&S engine. This motor comes mated to a six-speed automatic transmission. The 3008 looks really modern and very appealing. It gets a really attractive design that impresses with its taut surfaces and bold creases. The exterior also gets many modern styling features that go on to lend a touch of sophistication to the design. In its latest avatar, the 3008 is also available in ‘GT’ and ‘GT Line’ trims. The car gets double chrome-plated muffler-cutters on either side of the bumper. This makes the posterior a touch sporty. Other highlights include a ‘Coupe Franche’ dual colour exterior paint design. The flared wheel arches give that touch of ruggedness to the exterior, while the large 19-inch Boston alloy wheels make the car look even bolder. Bits like aluminium roof rails, chrome door mirror caps, electric tailgate with gesture control make this SUV a really attractive option. On the inside, the highlight of the cabin is the i-Cockpit design theme. There is a digital cockpit that comes with a 12.3-inch digital instrument panel. Another highlight is the large 8-inch capacitive touchscreen infotainment system. The top-of-the-line GT variants come with sports style seat draped in Imilia leather effect and Brumeo upholstery. 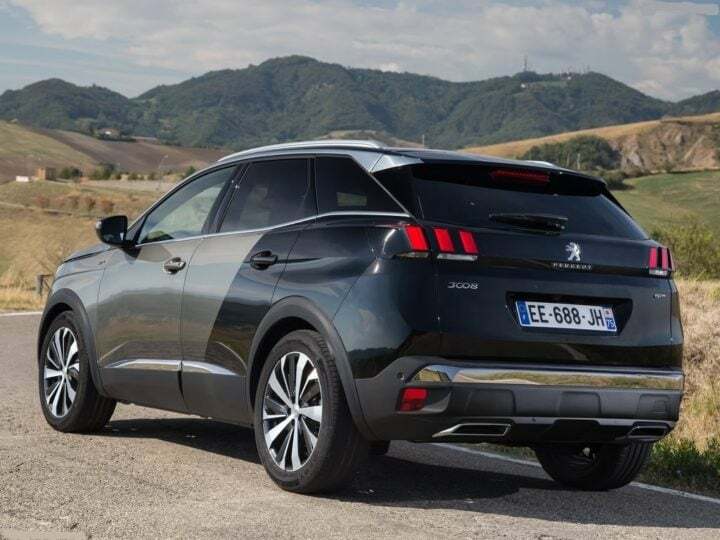 So, what do you think of the new Peugeot 3008 SUV? Are you waiting for the Peugeot 3008 India launch? Do you think the upcoming SUV can outperform the Hyundai Creta? Share your views with us by penning them down in the comments section below.